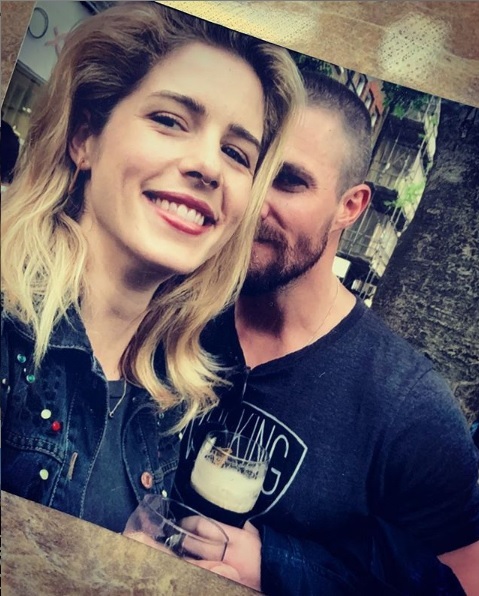 What’s especially intriguing is that Felicity Smoak’s exit will come at some point before the season finale set to air this May, so we’re going to have to wait and see just how that works out. I have a pretty good guess as to how the producers will pull it off, but let’s first look at what co-star Stephen Amell had to say about the matter. From the sound of that, I’d say their last episode filmed together was probably 7×21. Granted, Amell has said that he’s read the script for the finale already, but again, Felicity is supposed to bounce sometime before then and the penultimate episode sounds like as good of a time as any. Getting back to what I was saying earlier, I think the best way to write Felicity off the show would be to say that she wants to raise her baby in seclusion, away from the supervillains she normally combats. In “Star City 2040,” it was revealed that she’d raised Mia in a cabin in the woods, so that’s a good bet where she’s headed. In any case, we’ll find out soon enough, as Arrow returns with new episodes on Monday, April 15th on The CW.